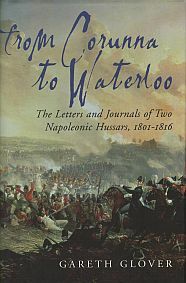 The Revolutionary and Napoleonic wars saw many other campaigns which involved British troops. 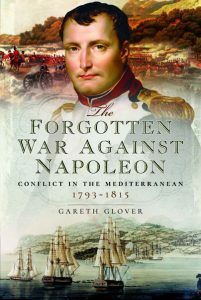 For those interested in these lesser campaigns, this page provides a link to any of the memoirs published in the Gareth Glover Collection, which touch on these campaigns. My Military Career By Lieutenant George Bourne 85th Foot 1804-18. A Short Account of the Life and Adventures of Private Thomas Jeremiah, 23rd or Welch Fusiliers 1812-37. 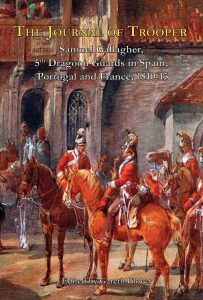 A Life Guardsman in Spain, France and at Waterloo, the memoirs of Sergeant Major Thomas Playford , 2nd Life Guards 1810-30. Wellingtons Lieutenant Napoleon’s Gaoler. The Peninsular letters & St Helena Diaries of Sir George Ridout Bingham 53rd Foot.